If you are a health freak, then you would probably be interested in fermented foods. Why are fermented foods considered to be packed with health? Yes, you guessed it right, they are packed with probiotics. Probiotics are good living bacteria that support the functioning of the gut and our digestive tracts. Most of our Indian foods like idli, dosa, pickles, curd, paneer, lassi, buttermilk, and breads made of fermented dough are all packed with the goodness of probiotics. • Fermented foods are partially broken down by the good bacteria and hence are easily digestible. • Fermented foods are rich in enzyme activity and thus help in absorption of more nutrients. • Fermented foods aid in proper digestion, absorption and assimilation of nutrients and therefore strengthening the immune system. 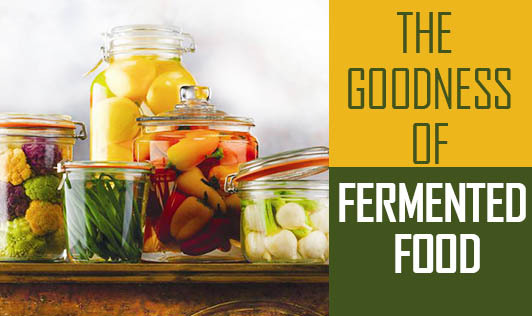 Fermented foods alone are not the panacea for good health. Studies have claimed that these foods encourage easy digestion. These accompanied with a nutrient rich diet, good sleep and exercise will nurture a strong immune system.